Europe already spends more than 9.5% of the GDP on health care and the sustainability and equality of European health care systems is being threatened by a combination of the immediate effects of the economic crisis, an ageing population and an increasing burden from chronic disease. Reducing the burden of chronic diseases with cost effective prevention programmes is of paramount importance to sustainable health care in Europe. Iodine prevention programmes therefore have an enormous potential to support sustainable health-care systems. However, the current lack of outcome research makes quantification highly speculative. EUthyroid addresses this situation by focussing on outcome research to provide evidence for the cost-efficiency of IDD prevention and monitoring activities. EUthyroid has already successfully established a joint European database for registry data related to the occurrence of thyroid diseases in European countries. In order to provide evidence for IDD prevention and monitoring programmes in Europe a preliminary model structure of a decision-analytic model has been developed and expert input and systematic literature searches have been undertaken to parameterise the model. 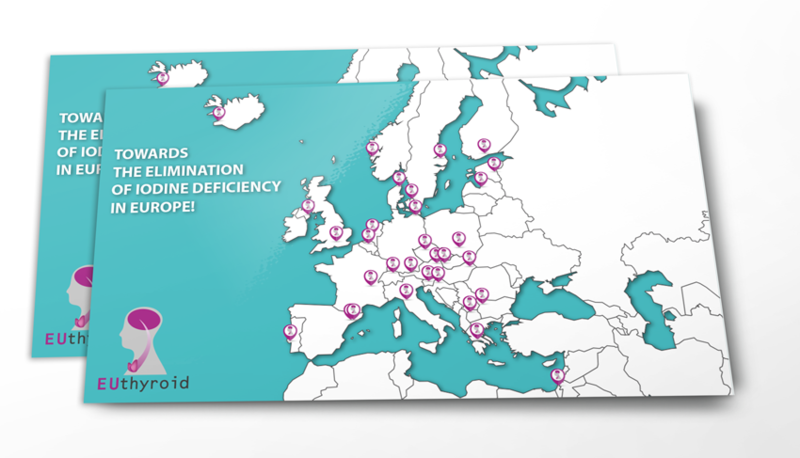 The database also collates data from an increasing number of IDD monitoring studies from many of the countries participating in EUthyroid. This will be used to address potential socioeconomic disparities in iodine supply and prevalent thyroid disorders.